You do not need to be a California resident to purchase this tag. All tag and license fees are included in the sale price. This tag may be used only by the purchaser or a licensed hunter to whom the purchaser designates. Included: 2019 California Owens Valley Tule Elk Tag, full open hunt area access opportunity, $250 Taxidermy credit donated by: Ron Gomez of West Coast Taxidermy. All proceeds from this item go to the California Department of Fish and Game. Location: Any open Moose hunt area within the state of Wyoming. Looking to fill that empty space on the wall with a Trophy Moose? This is an opportunity of a lifetime to purchase a Governor’s Shiras Moose Tag in Wyoming. Hunt in any open Moose area within the State of Wyoming! Hunt must be taken in 2019. Included: 2019 Wyoming Governor’s Moose Permit, Full open hunt area access opportunity, $250 Taxidermy Credit from Ron Gomez owner of West Coast Taxidermy. Not Included: Accommodations, meals, airfare, ammunition, guns. Special Note: Any resident or non-resident whose privileges to purchase a license are not under suspension or revocation in Wyoming or other wildlife violator compact states is eligible to bid on these license draws. These licenses may be purchased in addition to drawing a license for that species in the license draw. Included: 2019 Governor’s Permit, full open hunt area access opportunity, selection of either an elk, deer or antelope license, $250 Taxidermy credit donated by Ron Gomez of West Coast Taxidermy. Special Note: Any resident or non-resident whose privileges to purchase a license are not under suspension or revocation in Wyoming or other wildlife violator compact states is eligible to bid on these license draws. These licenses may be purchased in addition to drawing a license for that species in the license draw. Winning bid is 100% tax deductible. All proceeds from this item go to the Wyoming Game & Fish. Included: 2019 Paunsaugunt Muzzleloader only, full open hunt area access opportunity, $250 Taxidermy credit donated by: Ron Gomez of West Coast Taxidermy. Special Note: Any resident or non-resident whose privileges to purchase a license are not under suspension or revocation in Utah or other wildlife violator compact states is eligible to bid on these license draws. You do not need to be a Utah resident to purchase this permit. You must buy a non-resident hunting license for this hunt if living outside of Utah. All proceeds from this item go to the Utah Division of Wildlife Resources. Location: Pahvant area outside of Fillmore hunting unit. Utah has some of the best elk hunting in the world and the PAHVANT is universally described as “ Utah’s top elk area”. Located in the southwest area of the state just outside Fillmore, PAHVANT is certainly one of the best bull elk units. It produces 330—360 bulls yearly with a few 360 plus bulls taken each year. 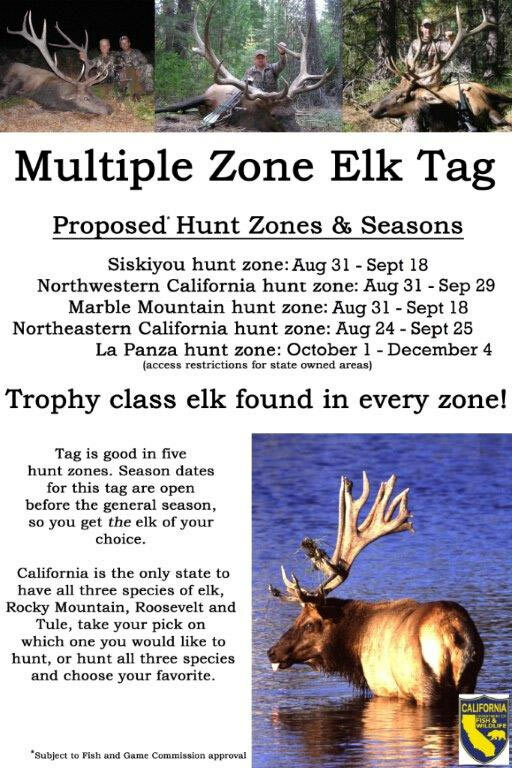 Included: 2019 Fillmore/ Pahvant Elk Permit, full open hunt area access opportunity, $250 Taxidermy credit donated by: Ron Gomez of West Coast Taxidermy. Dates for this hunt will be announced in spring 2019 You must buy a non-resident hunting license for this hunt if living outside of Utah. Wyoming Governor Matt Mead and the Wyoming Fish and Game Department are pleased to provide a Shiras Moose license for auction. Have you been looking for a trophy Shiras moose? There is no better state than Wyoming to find this special specie. Wyoming is known to produce some of the largest Shiras moose on the planet. Eligibility: Any Resident or non-resident whose privileges to purchase a license are not under suspension or revocation in Wyoming or other wildlife violator compact states is eligible to bid on these licenses, including previous Wyoming Governor’s license purchaser. All proceeds go to the Wyoming Fish & Game for mule deer, elk, antelope, and moose habitat and conservation. Wyoming Governor Matt Mead, and the Wyoming Fish and Game Department are pleased to provide a Elk, Deer or Antelope license for auction at the 2016 Central Coast Chapter MDF Fundraiser. Here is a special opportunity to bid on the Wyoming Governor’s Elk, Deer or Antelope Tag for the 2016 season. The lucky winning bidder of this tag will have the opportunity to hunt any open hunt area in the state (both general license and limited quota license areas included) for Elk, Deer or Antelope. Wyoming has proven to be a breeding ground for big trophies over the past years and this year looks to once again be the state of choice. Eligibility: Any Resident or non-resident whose privileges to purchase a license are not under suspension or revocation in Wyoming or other wildlife violator compact states is eligible to bid on these licenses, including previous Wyoming Governor’s license purchaser. These licenses may be purchased in addition to drawing a license for that species in the License draw. Winning bid amount is 100% tax deductible. Utah has some of the best elk hunting in the world and PAHVANT is universally described as “Utah’s top elk area”. Located in the southwest area of the state just outside Fillmore, PAHVANT is certainly one of the best bull elk units. It produces 360+ bulls yearly with a few bulls well above 360 and into the 400’s each year. Dates for this elk hunt will be announced in spring 2016. Winning bid amount is 100%tax deductible. All proceeds go to the Utah Department of Fish and Game for mule deer habitat and conservation. Don’t miss this opportunity to purchase a tag of a lifetime. Your tag provides a unique hunting opportunity in California with all funds going to California wildlife conservation. You do not need to be a California resident to purchase this tag. All tag and license fees are included in the sales price. This tag may be used only by the purchaser or a licensed hunter to whom the purchaser designates. Winning bid amount is 100% tax deductible. All proceeds go to the California Fish & Game.